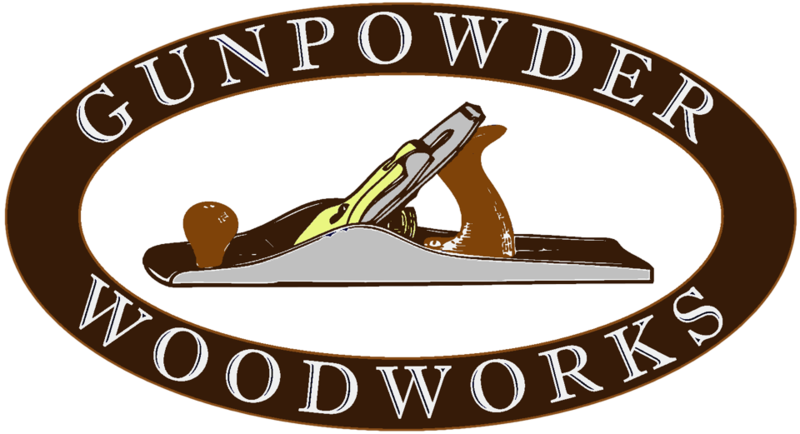 Just like any passionate hobbyist woodworker I have read just about eveything I could get my hands on with regards to woodworking. I’ve also bought and rented my fair share on woodworking DVD’s. After a while I got to the point where I just felt like 90% of what I was reading/watching I had seen before. I decided to take some classes with Chuck Bender at the Acanthus Workshop in Pottstown, Pa. Chuck has an extensive portfolio of amazing period furniture, having worked as a professional in the trade for almost 30 years. I thought it was time to have someone look over my should and say “no, hold it this way”, or “try this approach”. To have someone tweak my technique and correct the bad habits I had developed in my solitary pursuit of the craft. I got that…and a lot more. What I didn’t expect was some of the small nuggets of gold that I would pick up along the way. These weren’t “Hey, watch this” moments. They were just things picked up watching Chuck do what he has done for years and years. He’s very humble, but the depth of his knowledge in this field is not to be underestimated. I can honestly say that I don’t think there is anything, with regards to american period furniture, that he hasn’t done. Learning this golden nugget was just one those moments. It occured as we were finishing up the Tea Table. The top of the tea table attaches to the skirts with wooden buttons. To make these buttons properly the grain of the button has to be running perpendicular piece which is mortised to receive it. I’ve made them in the past and it’s always been a royal pain. There are multiple ways to achieve this but all the ones I’ve seen require several operations at the table saw which involve installing and removing the dado head, sometimes several times. The method Chuck showed me required a little unconventional setup, but it’s dead easy, accurate and fast! Chuck will be the first to tell you that he didn’t invent this. It’s just one of the techniques he’s accumulated over the years. It starts with ripping a long piece of wood to the width of your buttons. Then stacking your 8″ dado head up against your regular 10″ combination blade, like this. The width of the dado blade should match the length of the desired tenon and the height of the dado stack should be equal to the rabbet required to leave a tenon of the desired dimension. Clamp a block against your fence to it stops just short of your blade. Set the distance from this block to the blade equal to the total length of the button. You’re all set. Err on the low side with the dado stack and raise it a hair as required to get the tenon to be just the right height. The beauty of this setup is that you can run a test on the end of the piece repeatedly until it fits without wasting anything. It will take you a lot longer to set up than it will to cut the buttons. Just remember to run the stock all the way over the dado head to cut the rabbet. Here’s quick video that should fully explain the process. It doesn’t get any easier than that! Here’s what the button looked like after it was installed on the Trestle Table. This is just one of many small tips and tricks I picked up while taking classes with Chuck. If you are really passionate about woodworking I would urge you to take a class with a Master Cabinetmaker. Choose your instructor carefully. Talk to to people who have taken classes there and get their honest opinion before plunking down your hard-earned cash. I think you will be incredibly happy with your decision when you’re finished.